Why Are Investors Flocking To The Gold Coast? What makes the Gold Coast such a shining utopia for investors?According to a leading property researcher, apartment investors on the Gold Coast are increasingly favouring the city's inner urban areas over the coastal strip as they focus on suburbs underpinned by key property fundamentals. 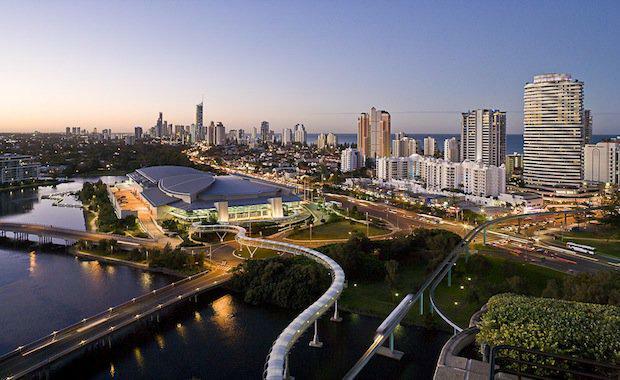 Urbis Senior Consultant Lynda Campbell said investors from the southern states were putting their money in Gold Coast precincts with strong economic indicators including population, infrastructure and employment. She said connectivity, walkability and infrastructure are key factors in making investment choices. "Many investors have been priced out of the market in Sydney, Melbourne and increasingly Brisbane, so are looking to put their money into quality properties on the Gold Coast. "Traditionally, Gold Coast investment has been weighted towards apartments near the beach that can be holiday let, but we are seeing a shift as buyers turn to the stability of long term tenants in areas with growth potential. "They want the same fundamentals that underpin apartment growth in their home cities, so are looking to central areas near employment nodes, with lifestyle amenities in easy walking distance,” she said. As a result, attention was turning to suburbs such as Robina - at the geographic heart of the Gold Coast, with a diverse base of industries, including education, medical, commercial, retail and transport. She said Robina would double both its residential population and employment workforce by 2050 and was the centre of major infrastructure projects, which had made it a top choice for interstate investors. Urbis research shows apartments on the Gold Coast are $345,000, $145,000 and $74,000 more affordable than Sydney, Melbourne and Brisbane respectively. Sydney investor Jane Evans, an accountant with the military, has purchased an apartment off-the-plan in Robina, which is due to settle late this year. 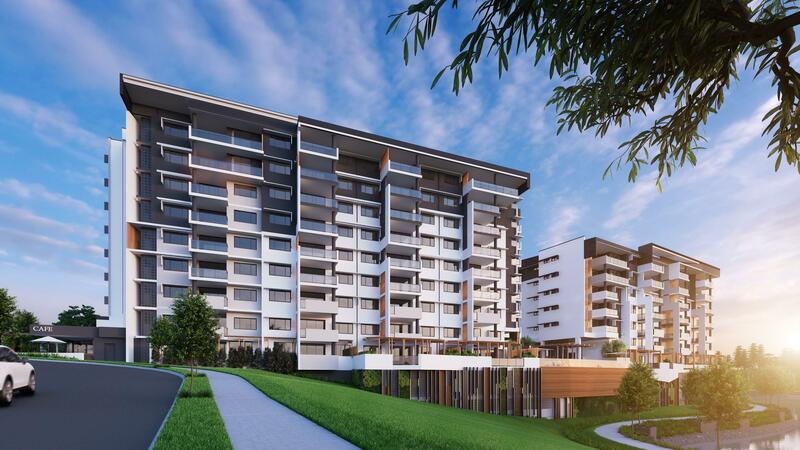 Originally from Perth, Jane secured a two bedroom apartment in Bohème Apartments, being developed by the Robina Group, near one of the Gold Coast's largest shopping hubs, Robina Town Centre. Ms Evans said with southern property prices climbing, she decided to rent in Sydney and invest on the Gold Coast. "The fact is the Gold Coast is always going to be an area people enjoy and it is a growing area in Queensland," she said. "With the Gold Coast Commonwealth Games coming up and a lot of industries shifting to Queensland, it's an excellent place to put your money. "Bohème Apartments at Robina appealed because of its position close to amenities, like the shopping centre, train stations and public transport, which are all big pluses for me. A person without a car could easily live there. "The lifestyle it offers is another factor. I like the fact it has a pool, is near a lake and is only 10 to 15 minutes to the beach - that is what you want. "The market has become very hot in Sydney, so you need to have enough cash to be able to get into it without mortgaging yourself up to your eyeballs, so for now I'm happy to be renting and investing elsewhere. "The Robina Group sales manager Azura Griffen said interstate investors were often surprised at the value on offer on the Gold Coast. "Many investors have been priced out of the market down south and others simply find what they can get for their money up here is much more appealing," she said. "When you add to that the fundamentals underpinning property on the Gold Coast, and Robina in particular, it really is a no brainer. "Robina has a residential vacancy rate of only 1.1 per cent, with a vacancy rate of less than 2 per cent indicating an area is in serious undersupply. "When you couple that with the forecast population and employment growth expected over the next three decades, investing here really stacks up. "Bohème Apartments offers a full-scale furnished display apartment on-site for buyers to tour ahead of completion of the first tower in December 2016. The $65 million dual tower project is 96 per cent sold with only five Bohème apartments remaining for sale starting from $475,000.